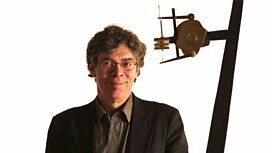 I just discovered this great BBC Program called Mechanical Marvels: Clockwork Dreams by Professor Simon Schaffer. “… the untold history of automata“. Explaining details about the world in which they were made. The workers and the world that led to these amazing creations. There isn’t too much about the actual construction and operation but they do talk a bit about it. Jaquet Droz is still alive! Well actually the Jaquet Droz company is still creating clocks, and automatons. The above Jaquet Droz corporate movie details some of his life story and about the current company. This entry was posted in Design, Horology, robot. Bookmark the permalink.